Using a combination of newly mined Sung sources and modern ethnography, Robert Hymes addresses questions that have perplexed China scholars in recent years. Were Chinese gods celestial officials, governing the fate and fortunes of their worshippers as China's own bureaucracy governed their worldly lives? Or were they personal beings, patrons or parents or guardians, offering protection in exchange for reverence and sacrifice? 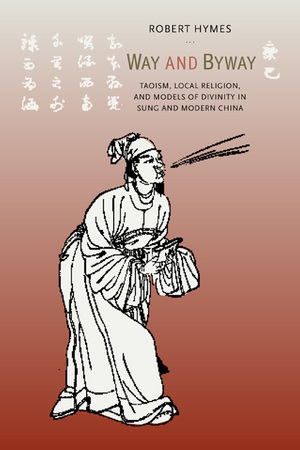 To answer these questions Hymes examines the professional exorcist sects and rising Immortals' cults of the Sung dynasty alongside ritual practices in contemporary Taiwan and Hong Kong, as well as miracle tales, liturgies, spirit law codes, devotional poetry, and sacred geographies of the eleventh through thirteenth centuries. Drawing upon historical and anthropological evidence, he argues that two contrasting and contending models informed how the Chinese saw and see their gods. These models were used separately or in creative combination to articulate widely varying religious standpoints and competing ideas of both secular and divine power. Whether gods were bureaucrats or personal protectors depended, and still depends, says Hymes, on who worships them, in what setting, and for what purposes. Robert Hymes is Professor of Chinese History at Columbia University. He is coeditor of Ordering the World: Approaches to State and Society in Sung Dynasty China (California, 1993) and author of Statesmen and Gentlemen: The Elite of Fu-chou, Chiang-hsi, in Northern and Southern Sung (1987).